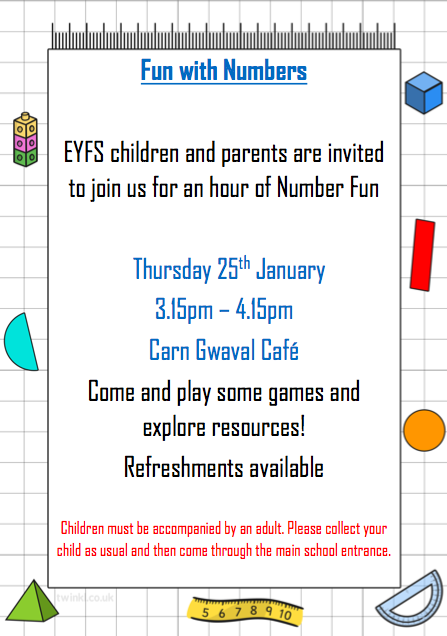 EYFS children and parents are invited to join us for an hour of number fun on Thursday 25th January, 3.15pm-4.15pm at Carn Gwaval Cafe. Come and play some games and explore resources. Refreshments available. Children must be accompanied by an adult. Please collect your child as usual and then come through the main school entrance.